Zyogenix's IPO, is expected to price at around $13 per share. Based on estimates from Liquid Scenarios Search2Model VCs in the deal such as Domain Associates, Clarus and Scale Venture Partners will actually get slightly lower cash on cash returns than Life Science Angels and that may very well be a compelling reason to consider looking at this stock. The same analysis estimates that the founders will see a 130,000% appreciation on the $0.005 (split adjusted) they paid for restricted stock in 2006. As attractive as that may sound, the real winners of this venture are the 30 million Americans that suffer from migranes. With Zyogenix's technology, these patients could be able to self-administer certain drugs, saving a trip to the doctor and the fear of a needle. Tens of millions of others will also benefit assuming other indications receive FDA approval. From an idea in the early 90s to a quarter billion pound valuation at the turn of the century and a second attempt at going public this decade, Zyogenix's core technology is anything but an overnight success story. But this time around the technology, and the company that owns the rights to it, have a key ingredient that was previously elusive: patients. With 5,600 prescribing physicians, the needle free drug delivery system that Terry Weston patented is finally ready for prime time. Terry Weston invented the technology in the early 90s, and got a seed round from 3i Ventures in Europe to fund Weston Medical in the UK. Additional investors, including a VC arm of Japan’s Normura, participated in subsequent rounds leading up to Weston Medical’s listing on the London Stock Exchange during one of the worse market pull backs in history up to that point. However, unlike an Internet company, bugs in production for life science companies can kill a venture’s value overnight, due to the risk that their products could kill a patient. That’s pretty much what happen to Weston Medical and it cut the company’s 250 million pound market cap to less than $4.5 million in liquidation value, which is where the founders and management team from Zyogenix come in. Following the crash of Weston Medical’s stock, and the inability to raise financing from other sources, Hayward, California based Aradigm acquired the Intraject technology out of bankruptcy for around $3 million US, including transaction and transfer costs. At the time of the acquisition Aradigm’s stock was bouncing above and below the threshold for NASDAQ National Market listing requirements. Today the company’s stock is on the OTCBB and trades at under $0.20. At least two of the founders of Zyogenix met while working on the Intraject technology at Aradigm. They arranged to acquire certain rights to the technology in exchange for $4 million up front, a milestone payment and a small royalty, provided they could secure $15 million in VC financing. The founders did twice as good, and were able to raise a Series A-1 round of almost $31 million. Less than a few years later, the new company, Zyogenix was ready to go public. Unfortunately, when they filed their registration statement in March of 2008, no one knew it would turn out to be the worst year on record for venture backed IPOs and one of the worse for securities of any kind. 2008, and much of 2009, was probably a record year for convertible debt financings of venture backed companies for obvious reasons. However, most of those deals converted at discounts to the next round of financing or with multiple liquidation preferences. The VCs that invested in Zyogenix latest round, along with certain PE investors did so without any discounts and without any special liquidation preferences (other than those implicit in the prior Series B financing). Similarly, an increasing number of venture backed IPOs have the VCs as selling shareholders, which is reasonable if there’s sufficient market demand since these parties took the early risk with the promise of a liquidity event. However, this deal is also unique in that the VCs behind it have even offered to purchase a portion (up to $15 million) of the IPO shares being issued. Some people would be skeptical of this willingness to pile cash into a deal at what appears to be essentially flat pricing. However, I believe these moves are indicative of the longer term value these investors see in Zyogenix. At these prices, institutions and certain individuals that have an opportunity to purchase some of the IPO shares should follow the lead of the VCs in this deal. Since founding bpCentral, our focus has been on increasing each user's competitive advantage each and every time they interact with one of our applications. Naturally, this involves more than simply enabling complex calculations to be performed accurately. In fact, during the first 12 months of developing our new technologies and applications, we put an inordinate amount of resources into discovering how to transform the relationships between idiosyncratic decision-makers and financial information. Our premise was that if that human to data relationship could be elevated to a new standard, then the relationships of those professionals with the entities and individuals they interact with could be more efficient and therefore more valuable. In response, we developed CIMPA, the Carver Import Algorithm, a system that allows any electronic financial information, data or reports to be interpreted by a receiving system without the need for XML, XBRL, tagging approaches or extensive manual data entry. As a result of this technology, the Company's systems for private equity and venture capital professionals are able to import data in a matter of seconds, instead of a matter of hours. Similarly, the Company noted that when users attempted to calculate the outcomes of complex liquidation preferences, anti-dilution provisions and other complex terms that are common to VC/PE transactions, any output was virtually impossible to verify without a costly audit of the formulas. 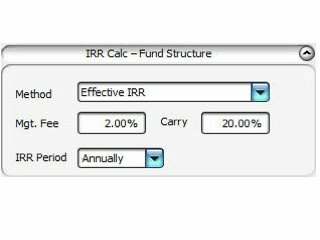 Since the formulas were generally based in excel, this meant that few if any partners or other key investment professionals could afford to expend the effort to verify how amounts were arrived at. Upon further consideration, the Company realized that, to a certain extent, this was true of all financial reports. For traditional financial statements, this point is evidenced in the fact that notes to financial statements typically occupy several times more pages than the actual financial reports do. This realization inspired the Company to develop a system it calls OferX, which presents all financial information in a manner that allows any user to audit and see how amounts were calculated (in an easy to understand, quantifiable manner) without the need for extensive textual descriptions. Together these unique tools form the foundation for the Company's offerings, which are backed by over 29 patent pending technologies. FriendFeed & iLike founders take even money?